Heartland FSC Membership Form 2018-2019. The USFS membership year runs from July 1-June 30, which means that all memberships from this past year will expire on June 30, 2018. The membership packet is available at the link below. Completed forms and payment must be received no later than June 30, 2018 for the early bird discount and may be dropped off in the Heartland FSC box at the rink. We have some of the most affordable membership fees in the area. We are able to do this in large part because of the number of skaters and families that contribute to the success of our program. Volunteerism is a vital part of the success of HFSC. Members of HFSC need to commit to volunteer 7 hours or more for the upcoming year. Food donations can fulfill up to 2 hours of this requirement. Remember, it is because of your volunteerism that we can keep our membership fees so low! Discounts on HFSC sponsored educational seminars and exhibitions. Voting privileges and eligibility to hold office for members over 18 (as defined by Heartland FSC Bylaws). Parents/Guardians represent USFS members who are under 18 years of age. Don't forget to download and print the membership packet to complete and drop in the Heartland FSC box at the rink. If paying online, be sure to list the names of all registrants in the notes section on the payment screen. This will assist us in matching the form to the online payment. 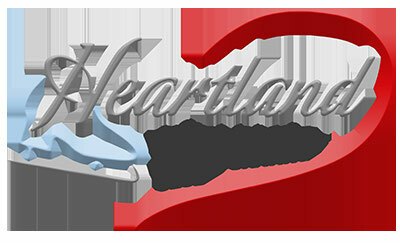 For questions about membership, contact the membership chair at membership@heartlandfsc.org.